What a finale!! This is wonderful and romantic series about finding love and conquering past ghosts is book three in the Wild Lords and Innocent Ladies series. I have been engrossed with the series and getting to know each of these characters and following them of their journey’s, each book takes the reader on a story that is both utterly devastating and brilliantly romantic. Temple has gifted readers with a thoroughly dazzling, utterly romantic and unbelievably layered and intricate plot. The story open’s in 1817 where we see exactly what the cool and mysterious Stanton has been hiding away in his past, we see those scars that he has kept well-hidden and how he got them in the brilliant prologue. After being wounded Alex is stranded on the Greek Island of Illiakos, he is brought back from the brink of death by a mysterious nurse wearing a veil – or as Alex describes it; wearing a tent. There is an instant attraction between Alex and the mysterious ‘Nurse’, he is intrigued by her elusiveness and she is drawn to devilishly handsome Englishman. Let me just say the young Stanton is absolutely adorable, he is wolfish, mysterious and a real cheeky chap. Six years later King Darius of Illiakos is visiting England and stops at Stanton Hall along with his beautiful daughter and her companion in tow, Alex is being forced back to the Hall to hold talks with the King –something he isn’t looking forward to. He see’s it all as a waste of his time, he believes he has done enough. But that all changes when he meets a beautiful young woman reading his library, a woman who he soon learns was the ‘tent wearing nurse’ who saved his life. A woman who he has been obsessing about for the last six years and suddenly here she is. Christina can’t believe it when she learns that she is to stay in the home of the very man she has been fantasying about for the last six years, a man who even though she refuses to admit it, she fell in love with while tending to him all those years before. Now I knew Stanton was a man of mystery, but who knew that stoic, proper and unwavering Stanton would be such a rogue; Yes, I see him as a rogue! A charming if troubled rogue. He is so different to how I first imagined Alex to be, he is just as enigmatic but there is something else about him that catches the attention something dangerous and primal. I really, really like him, Alex is so much than I thought him to be he is intelligent, perceptive, hugely protective and now his story has been told and his secrets have been revealed his other persona is revealed and this one is cold, tormented and vulnerable. He is a man who doesn’t believe in happily ever after’s, he has become jaded to love and a little cut of from life too, and my heart bleeds for him. He makes you want to prove to him that; yes, he is a good man who is deserving of a happily ever after. 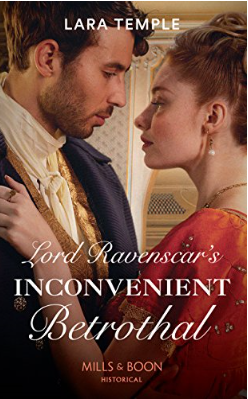 I knew that Alex had a secret, when you read Lord Ravenscar’s Inconvenient Betrothal there is ever so subtly added little sniffs of him in that story, I love how Temple did that she has tantalised us readers, it was so brilliantly done. She casted out the lure and once she caught you, she then reeled you in…. (I’ve just realised the fishing metaphor!…This is finally where we get the answers to questions that for bee have been building up about him, the more she reveals the more you are hooked and entranced. Which as ever is so beautifully done! Christina is a caring and intelligent young lady, she is a woman who has fire in her blood and an adventurous spirit. When we first meet her, I see a young woman whose head is full of youthful dreams but like Alex she too over the years has become withdrawn to her true desires and detached herself from the world, she doesn’t believe that girls like her are going to meet their prince charming. She doesn’t believe in fairy tales. Christina is an amazing character, she is very real and yet there is something very other worldly about her. She is beautiful, headstrong, with one heck of a brain and wise beyond her years. She has definitely become my favourite heroines from this series, like myself a lot of women can defiantly relate to her in some way or another. I love her active mind and calm intelligence, her thirst for knowledge and yet she doesn’t brandy her self around, she is very modest. The chemistry between Alex and Christina is sweet and natural, but more than that they are fun together they can tease and play even when she is reading those ghastly agony aunt columns in the newspaper. The scene where Alex and Christina meet again in the library is so good and one that will stay with me, the image of her sitting in the window seat reading, with her shoes thrown unceremoniously on the floor is so vivid. That one scene is fun and the air sizzles and tingles with tension from both of them. 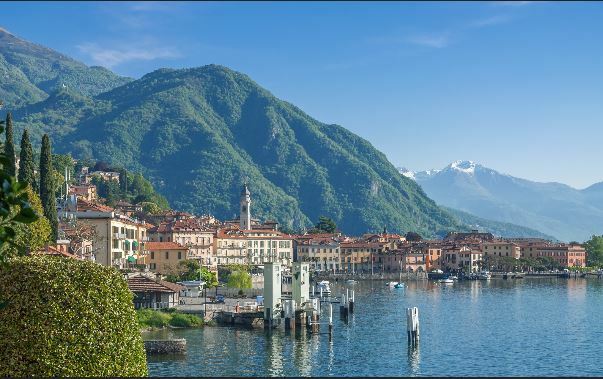 Thank you, Lara for this beautiful scene! Oooh, I l do love Rasvenscar! I was drawn to him in Lord Hunter’s Cinderella Heiress, I fell in love with him in Lord Ravenscar’s Inconvenient Betrothal there and you wouldn’t believe how pleased I am he has dropped by again. He is even more witty and charming then he was …love this man! And when the three of them; Hunter, Ravenscar and Stanton are all together is lovely, their familial joviality, the way they can tease and poke fun at each other is adorable…I am gushing too much, aren’t I? But, they are gorgeous! 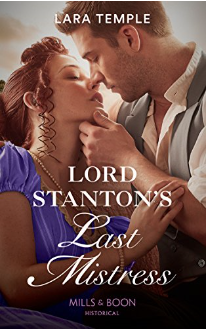 Lord Stanton’s Last Mistress is a beautifully written, elegant and thoughtful story about two people who have been through the mill in one way or another and finding themselves unable to believe in happily ever after’s. Ms Temple has a real gift at created deeply emotional and passionate characters, which are both stunningly accurate and brilliantly developed. The story flows seamlessly, the tension between Alex and Christina builds up to an eruptive and romantic end. It is concise and crisp, there are multiple layers to the story that keeps you entranced and enthralled. It is poignant, sentimental and expertly written love story. So good, and highly recommended! Lord Stanton’s Last Mistress is to be released on 31st May and can be pre-ordered at Amazon. This entry was posted in ARC, Historical Romance, Mills and Boon/Harlequin, Regency, Reviews and tagged ARC, Harlequin, Historical Romance, Lara Temple, Lord Stanton's Last Mistress, Mills and Boon, Review, Wild Lords and Innocent Ladies. Today I have the great pleasure to have the lovely and hugely talented, Historical Romance Author; Lara Temple visiting again. To celebrate the release of her brand-new book; Lord Hunter’s Cinderella Heiress – which is out today, I have an exclusive Interview with Lara, an exclusive excerpt and Lara has come to Chicks Rogues and Scandals baring gifts, she is very generously giving away a copy of Lord Hunter’s Cinderella Heiress to one lucky winner so make sure you stick around for that. Frankie Hi Lara, Welcome to Chicks Rogues and Scandals, Thank-you for taking the time to chat with me today. Lara Thanks for inviting me, Frankie. So glad to be here again! Frankie It’s a pleasure, congratulations on your newest release; Lord Hunter’s Cinderella Heiress. Can you tell us a little about the book? Lara Thanks, Frankie. Anyone who knows me knows I have trouble telling ‘a little’ but I’ll try. When Hunter and Nell first meet they are both at a low point – Hunter’s brother committed suicide after the war despite his efforts to help him, and Nell is subject to her aunt’s bullying and her father’s indifference. In a moment of pity Hunter agrees to marry Nell when she reaches her majority. But when Nell turns 21 and discovers the betrothal she has no intention of going through with it – she has finally drummed up the courage to go seek out her childhood sweetheart at the Wilton Horse Fair and she won’t let an announced betrothal stand in her way. Hunter is only too happy for an honourable way out of his long-regretted gesture and promises to accompany her to the Horse Fair but along the way (of course) they discover they share not only a love of horses, a sense of humour, and a growing and often disconcerting attraction, they also understand each other’s strengths and weaknesses. Still, they have to face guilt, pain, and their own needs to reach their well-deserved HEAs. Frankie All your books are set during the Regency period, what is it about that era that interests you so much to write about? 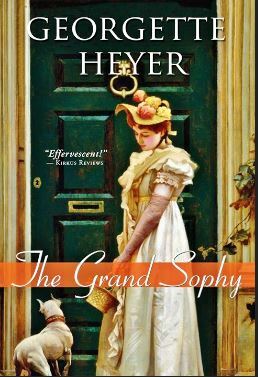 Lara From the age of 15 I was hooked on Regency romance and history by the incomparable Georgette Heyer. I went so deep into her world I ended up turning my back on studying physics to pursue a degree in 19th century British History. I can’t even explain what dragged me in so deeply – it isn’t just the glitz and glamor of the ballrooms, but more that it is a time of almost hidden transition. 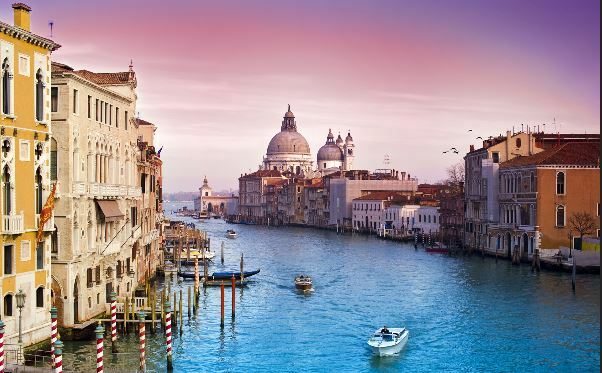 The Regency period feels to me like a twenty year old on the brink of ‘real’ life – everything is about to change dramatically and you can feel it coming but don’t know what it will all amount to. 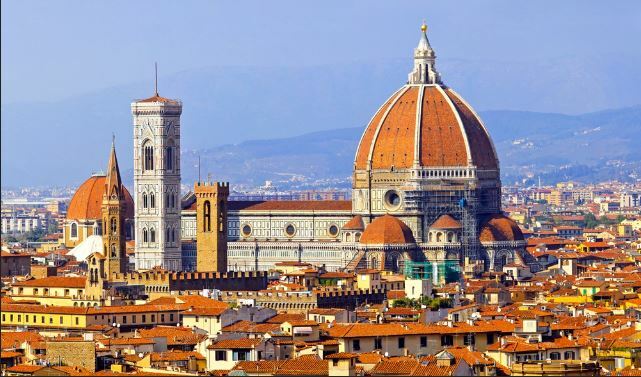 The Napoleonic Wars set in motion political developments that shaped the world we know today, some of the most amazing scientific discoveries were being brewed during this period but also weren’t fully understood. 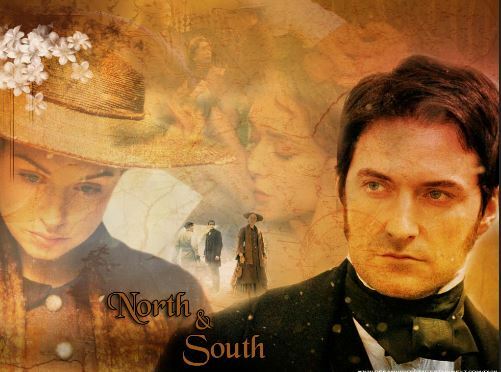 The Regency is a world poised on the brink… I love that tension. Frankie Do you have a writing ritual? And if you do can you share it with us? Lara Until recently I had a very demanding job so writing was recreational for me – something I did when I ‘felt like it.’ That changed completely when I got the amazing chance to become a published author (thanks to Harlequin’s SYTYCW contest!). Since then I sit down and write every weekday, from the moment I take my children to school (well, after making a big pot of tea but that’s obvious, right?) and until I have to work at my other (now less demanding) job. Because I have so little time, even when I hit a writing wall I force myself to keep writing – I might start editing or put my WIP aside to work on another project (I often have two going at the same time precisely for this reason), but I never stop completely and wait for ‘the muse’ to strike. 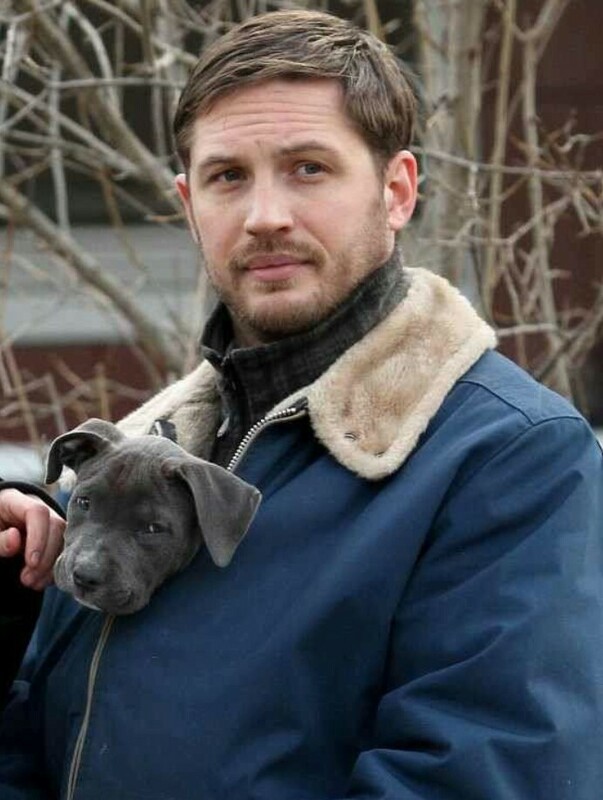 Frankie If you could have one of your books made into a movie, which one would it be? And who would play your two, leading character’s? Frankie Wow! That’s brilliant, I absolutely agree. What is your most treasured possession? Lara Now that I have kids I can realize there are some things my parents did I never fully appreciated. 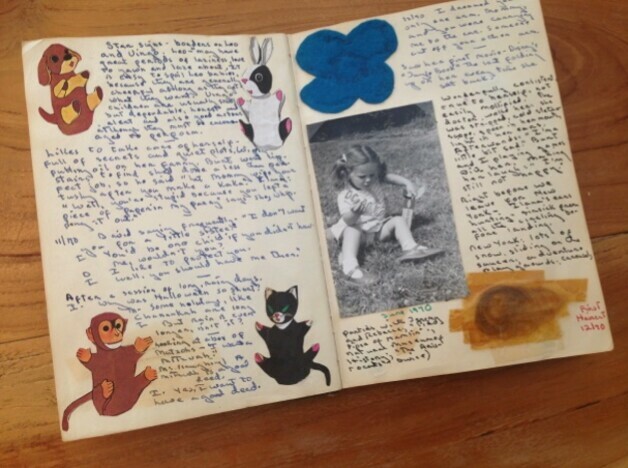 My mother recently gave me a notebook she prepared during my first five years which is an amazing gathering of anecdotes and first words, photos and little titbits, including the first ever story I dictated to my mother (an adventure story about a city under the sea, with an HEA of course! ), Ribena badges I collected, and first locks of hair. It was a true labour of love. Frankie What I love about Lord Hunter’s Cinderella Heiress is how the Hero; Hunter and his friend Raven set up Hope House, the charity home for veterans who are in need, can you tell us why you chose that subject to play such a prominent role in the plot? Lara I’m an army veteran myself and I am closely acquainted with people who have suffered PTSD because of combat experiences, sometimes with tragic results. I know how it affects the families of survivors as well – they have to deal not only with a loved one’s trauma or loss but also often with their own guilt and sense of failure. I found myself thinking what did people do two hundred years ago? How did they and their families cope, both emotionally and financially with almost none of the awareness and support systems that exist today? That was where the idea of Hope House came from and I specifically chose heroes who faced different aspects of the upheaval of the times and coped with them in different ways. I try to deal with this difficult topic without sacrificing tenderness and humour and I hope I strike the right balance. Frankie You definitely do, Lara. Your Regency books are brilliant, would you ever consider setting one of your books in a different era, and if so which one? Lara I love this period but I also love the Edwardian period because the whole world is teetering on the brink of change, both good and bad – you can see how women are demanding more freedom and stretching their limits and really pointing the way in which the world would go, even if much of the upper echelons of society were in deep denial. I love periods steeped in tension, there is so much to write about. Frankie Animals always play such a big role in your books whether that be Pugs or Horses, is there any animal that you would like to feature in your books, if you could? Lara I really don’t mean for it to happen but it just does! In my next Wild Lords book, Lord Ravenscar’s Inconvenient Betrothal there is a large wolfhound named Grim (named after “church Grims” – a tradition of burying black dogs in cemeteries to protect the dead) and my heroine’s best childhood friend is a manatee named Rupert (I think I can safely say that’s an unusual pet in a Regency romance). Since I loves dogs I’m certain they will appear again but perhaps it’s time for a cat – In fact you’ve given me an idea – in my WIP the heroine asks a fake Gypsy to show her how to be an occultist so she can gather information about her godfather and I think an indolent cat will do very well in some of those scenes. Thanks, Frankie! Frankie Ooh, That’s interesting. Thank you for talking with me, Lara. I have just one last sneaky question. What is your perfect girly night? Frankie That sound’s perfect to me. Nell really should get down but she didn’t want to, not yet. As she remained unmoving the raffish quality of his grin shifted, mellowed, his lashes dipping slightly. ‘You do look like a Saxon queen up there; about to bestow her favour on her knight.’ He observed and Nell planted her feet more firmly as the bale quivered beneath them, or maybe that was just her legs that had wobbled. She was used to looking down at men, but very contrarily looking down at him made her feel dainty. Dainty? How could three words turn a quiver into a blaze? He might as well have touched a match to the hay the heat was so intense. And the sense of danger. He was making love to her in the middle of a stable yard without raising a finger and she didn’t want it to stop. This is not making love, just flirting, the schoolmistress pointed out and was kicked off the bale of hay. 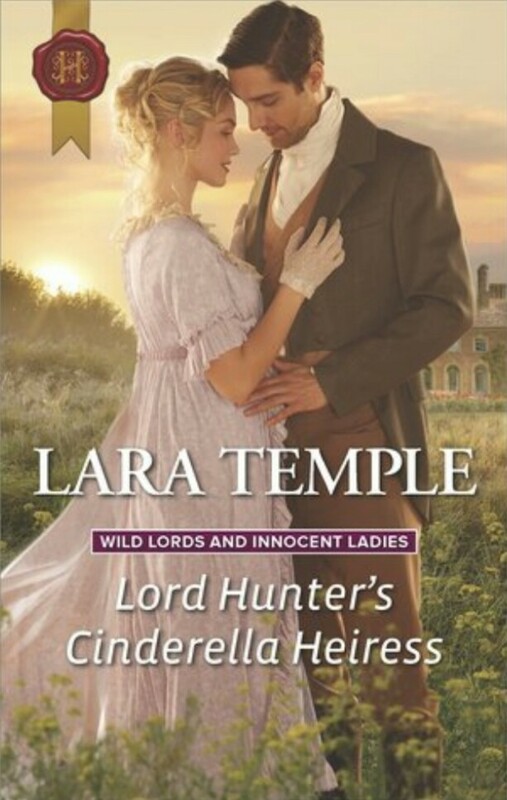 It’s giveaway time, we have a copy of Lord Hunters Cinderella Heiress to giveaway to one lucky winner, to be in for chance just answer Lara’s question and leave your answer in the comments below or on the Chicks Rogues and Scandals Facebook Giveaway post. Animals are always cropping up in my novels. For example, Nell and Hunter have a shared passion for horses. What was your favorite pet or what animal would you like to see make its appearance in a novel? *Giveaway closes at midnight GMT on 8th November 2017 and is open internationally, winner will have the choice of format; Print or Ebook. Only comments on this post or on the Facebook Giveaway post will be counted. 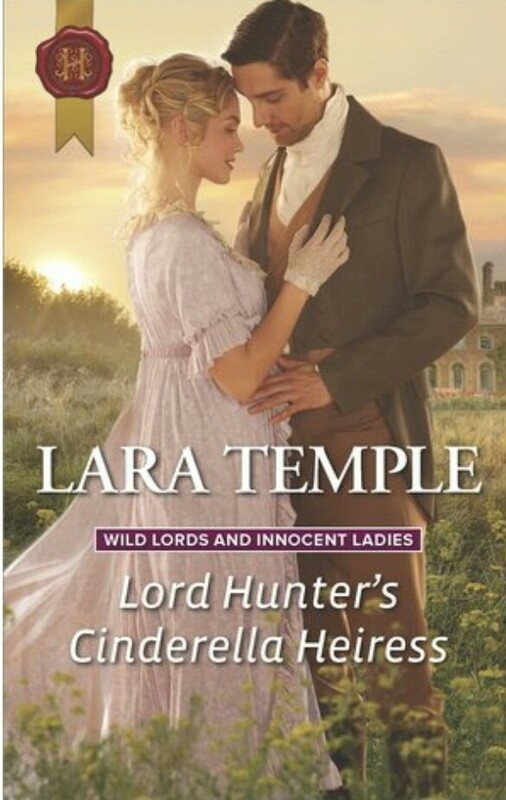 This entry was posted in Exclusives, Give Aways, Interviews, Spotlight and tagged Author Interview, Exclusive Excerpt, Giveaway, Historical Romance, Interview Exclusive, Lara Temple, Lord Hunters Cinderella Heiress, Release Day Celebration, Spotlight, Wild Lords and Innocent Ladies. The whole story of these three noble lords setting up Hope House for ex service men is so inspirational. Like now there was so many men that had come home from the war wounded in more ways than a civilian can imagine, they are cast out from the military and just as now the very people who these brave men fought for just don’t care anymore, they are left destitute and in a lot of cases they had lost the will to live and I love how that is the very focus and underlying story of this book. He goes to the Tinley’s to discuss his water source from the river that join’s both their lands together, but in the process he finds a down beaten and bullied young girl who reminds him of his brother. He at first thinks her to be vibrant and free-spirited but he soon realises the horrible truth. Nell is in a living hell. She is bullied, humiliated and ridiculed daily from everything from her being too tall, not pretty and lacking in everything that a man holds dear. Bell’s aunt Hester treats her niece like dirt off her boot, her father is no better he stands there and lets this happen to his seventeen year old a daughter. He should be protecting her and nurturing her and yet he stands back and allows this vile acid tongued women to have her way. For me that is worse than the actually bullying, that makes him no better and he should be absolutely ashamed of himself. Funnily enough when Nell is away from her so-called family she is a right little rocket, she is a spirited young woman. A skilled and confident rider and trainer, like Hunter she has got an extraordinary gift with horses, I would definitely say that she is some kind of Horse Whisperer, she and Hunter understand horses better than they do people. She glanced over at Hunter. “Your team is just as evenly paced and perhaps having a little more staying power.” Hunter resisted the urge to smile, barely and some of his tension faded. Four years later, these two are reunited, after she finds out that all these years Lord Hunter and her father came to an agreement that solves Hunter’s water and drainage issues on his land and takes Nell off her father’s hands. They become engaged, only without Nell’s knowledge. Well obviously Nell is furious and she heads off to Lords Hunter’s to tell him in no uncertain terms that this engagement is to be broken off. Hunter is shocked in the change of Nell the last time he saw her four years earlier she was a timid, bullied lass and now she is a vibrant no-nonsense woman who knows her own mind and he is instantly drawn to her. Hunter is tormented by what happened to his brother, he blames himself not just for Tim’s suicide but Hunter thinks he should have stopped his baby brother joining the army. He thinks that if he did then Tim wouldn’t have been taken Prisoner. Obviously Hunter has got nothing to feel guilty about he did his absolute best for his brother but unfortunately you cannot help someone if they have lost themselves. It is absolutely heart-breaking you want to put your arms around Hunter and give him huge hug and tell him that it’s not his fault. Temple has his agony absolutely spot on, she has portrayed the suffering that these brave men are going through with real tact and decency and with up most respect, and I absolutely applaud her for that. It is sensitive, but yet brutally honest and that is what I really love about it. I cannot wait to read the rest of this series, if this first instalment is anything to go by we are in for something special, because this is flawless. I could read this over and over again and I would still laugh, cry and be shocked over and over. The romance is as ever beautifully written by Temple, but for me the real winner, the thing that sets this book apart from others is the undercurrent story, that is where the heart-breaking and emotional moments come from. I was so privileged to have received a very ARC copy from Lara in exchange for an honest review. Lord Hunter’s Cinderella Heiress is to be released on 1st November and can be pre-ordered now at Amazon. This entry was posted in ARC, Historical Romance, Reviews and tagged ARC, Harlequin, Historical Romance, Lara Temple, Lord Hunters Cinderella Heiress, Mills and Boon, Review, Wild Lords and Innocent Ladies.